My relationship with the Earth Defense Force series is similar to that of my relationship with colleagues or even in some instances, distant relatives. What I mean by this is, Earth Defense Force is a series to me that I don’t particularly think about a whole lot, but every now and then, I’ll remember my (mostly) fond memories with the franchise, prompting me to check up on the series. 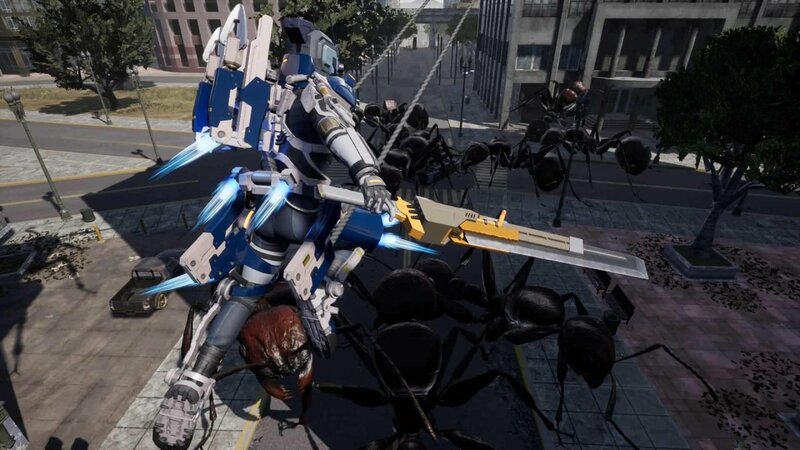 My last exposure to the series was with the 2015 refresh of Earth Defense Force 2025 which originally launched on last generation hardware and then again for the PlayStation 4. Having skipped the 5th instalment of EDF, I was quite looking forward to Earth Defense Force: Iron Rain. 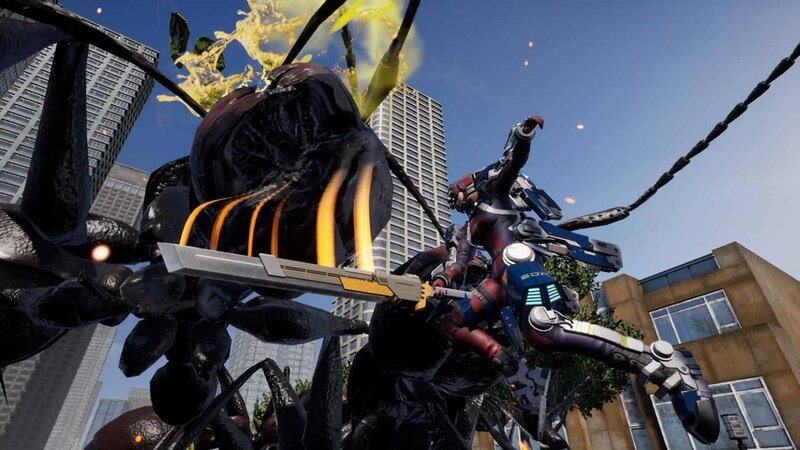 Right off the bat, Earth Defense Force: Iron Rain feels a little different from past entries into the series, which most likely is due to the game not being developed by series regular, Sandlot. Iron Rain, instead is developed by Yuke’s, a Japanese developer best known for their work within the wresting genre. The biggest change in Iron Rain is one that of atmosphere, which for the most part, feels tonally darker. Personally, I wish Yuke’s instead, focused on upping the quirkiness and the silly writing, which I find the series is better known for. Regardless, the shift in mood and atmosphere within Iron Rain’s narrative does help the game stand out from past entries. One major way in which Earth Defense Force: Iron Rain evolves the series, is the character creator and weapon loadout menu. Starting with the weapon loadouts, like previous entries into the series, Iron Rain offers a plethora of guns, rockets, missiles, flamethrowers and even swords, but the biggest addition to this, already dense arsenal of weapons, is the evolution of the character classes. Like previous entries in the series, Iron Rain offers 4 different character classes but instead of having weapons locked behind specific classes, each job-type instead, offers unique, special abilities that can be used once, per level. In other words, super abilities, which the game refers to as Overdrive mode. When just starting the game for the first time, players will only have access to the trooper and jet lifter classes, which essentially both feel like your typical, soldier-type, with the biggest difference between being maneuverability and defense. The overdrive ability for both classes, also only reduce cool downs temporarily, which is the most basic form of the overdrive function within the game. Things get more interesting with classes such as the Prowl Rider. The aforementioned class allows players to summon different mountable instincts, swing around large structures and grapple larger enemies (ala Attack on Titan). The Prowl Rider class felt the most balanced out of the 4 and the most fun, transforming the otherwise standard EDF gameplay into something that felt more akin to titles such as Freedom Wars or God Eater, while still remaining true, to the crazy, over-the-top guns’ blazing gameplay the series is known for. 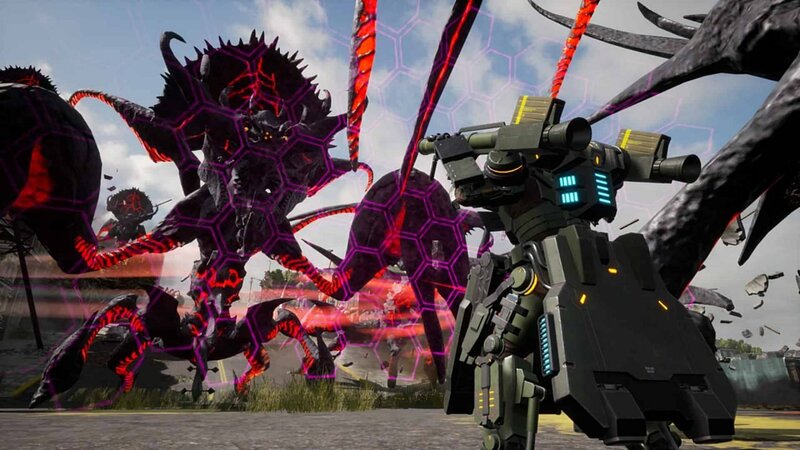 For those who may have never played an Earth Defense Force title before, EDF: Iron Rain is a great entry point into the series (unless perhaps, you really care about why giant insects and aliens are invading the Earth). EDF, in essence, can be best described as the third-person shooter equivalent to the Dynasty Warriors or Musou series, as it is known in its native country of Japan. One of my favourite aspects during my time with Iron Rain would be the pace in which new gameplay mechanics and gear got introduced. I never felt like I was falling into a comfortable setup, rather, the game did an adamant job in making me experiment with different load outs and classes. However, I do wish that some of the missions briefed players better, specifically, in regards to recommended gear, as having to go through the rather long loading times, only to then realize that whatever load out I had presently, was not best suited for the level, got annoying fast. This is mostly a minor gripe, as often times, many of the missions would introduce surprise objectives, so a briefing would kind of take that element away from the overall experience. Another returning series staple in Iron Rain is the inclusion of both local and online co-op, the former of which I could not get to try out during the review period, however, I’m happy to report that the local two-player co-op is great, despite poorer performance due to the extra resources required. 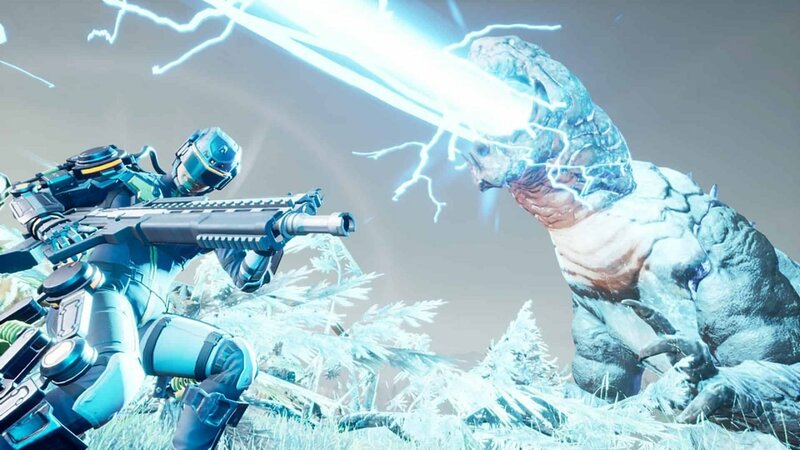 Performance, in general, felt pretty good, at least to the standards established by Earth Defense Force, something the series has always struggled with. 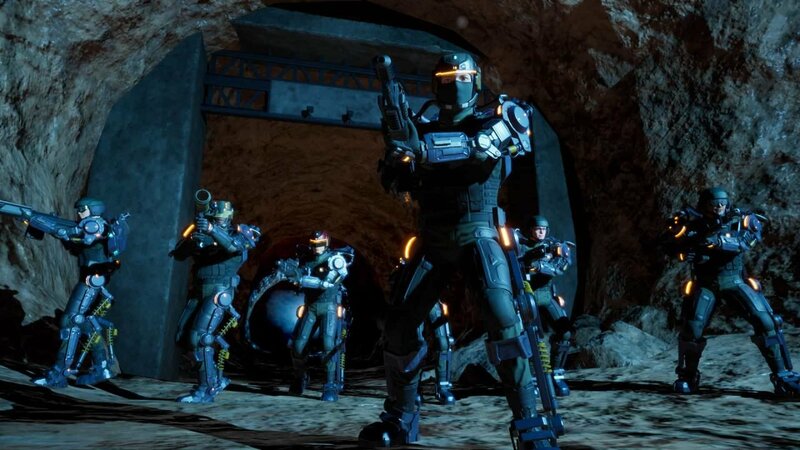 Overall, playing the game on PlayStation 4 Pro hardware, Iron Rain ran fairly consistently, with some noticeable dips, that only really became apparent during multiplayer sessions and whenever there was an overwhelming amount of action on the screen. To be perfectly honest, the slowdowns and weird stilted animations of some of the enemy types, made me appreciate the contrived hokiness of the series in general, rather than distract or hamper my time with the game. 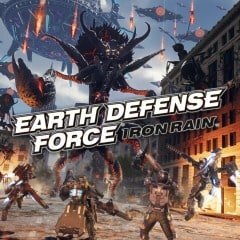 Earth Defense Force: Iron Rain, in many ways, feels like the videogame equivalent of a B-movie and that’s not entirely a bad thing; offering players with a nice change of pace from the hyper-connected and competitive nature of contemporary gaming, with a game that actually feels like a game, rather than a time investment or commitment.